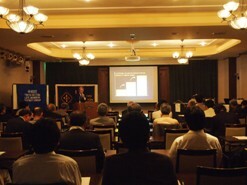 The 2011 Second Commemorative Lecture of IEEE Tokyo Section and Life Members Affinity Group (LMAG) was co-held with 53 participants at room "Aron" on the 3rd floor in Aoyama IVY HALL on Tuesday May 31, at 2:30 pm. Dr. Shuji Tomita of itSMF Japan (IEEE Life Senior Member) gave the lecture titled "Update of Global Managed Data Network Service -Referring to Japanese and European Service Providers, NTT Communications and Orange Business Services -". After his talk, Dr. Kohei Habara (LMAG Chair, IEEE Life Fellow) and Dr. Yukou Mochida of France Telecom (LMAG Secretary, IEEE Life Fellow) joined to form an extended Q&A and mini-panel session. Their talk covered the experiences on the business and standardization of network service in Japan, China, Europe and USA, which attracted participants' strong interest. 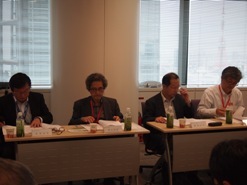 The 2011 Second Meeting of of Tokyo Section Executive Committee was held on Thursday, June 16, from 15:00 p.m. at Shiodome City Center, Tokyo. The 2010 Third Meeting of Japan Council Executive Committee which was going to be held on Tuesday, March 29, 2011 has been canceled due to the earthquake and the tsunami on March 11, 2011. Instead of the holding, IEEE Japan Council office have sent the materials to the officers and the representatives. 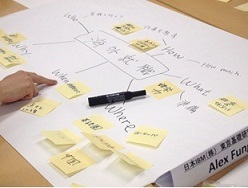 “The 5th Career Development Workshop for Young Students and Professionals” was held in Keio University (Hiyoshi Campus) on June 25, 2011. This workshop was mainly organized by IEEE Tokyo GOLD Affinity Group and IEEE Japan Council Women in Engineering Affinity Group, and was co-organized by Tokyo Denki University Student Branch, Keio University Student Branch, Tokyo University of Science Student Branch, Yokohama National University Student Branch, Meiji University Student Branch, and Waseda University Student Branch.